Try your hand at traditional skills, talk to artisans, watch demonstrations and shop for artisan products. 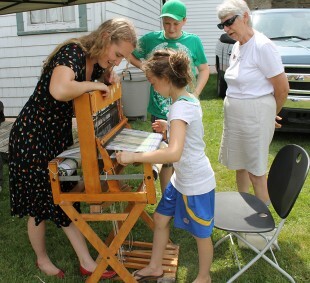 Carding wool, spinning yarn, weaving, rug hooking, basket weaving, chair caning, sheep shearing, baking over the hearth and more. Join us at 2 pm for the launch of the Dorchester Historic Walking Tour Guide – Celebrating 150 years in Dorchester. Costumed guides or self-guided tour using the new guide.